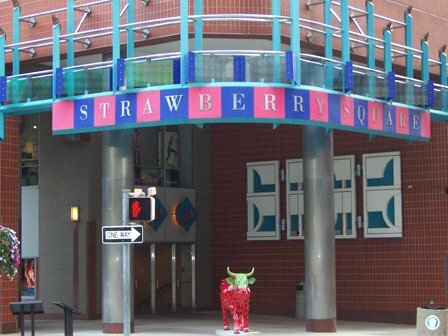 Strawberry Square is a shopping and dining destination located in the heart of downtown Harrisburg. The retail and commercial center features more than 40 shops and galleries, office space, and an impressive food court that offers national and international cuisines. The complex is also home to the Whitaker Center, and provides classrooms for local high schools and colleges including Temple University of Harrisburg and Harrisburg University. With its convenient location, Strawberry Square has become an unofficial town square of Harrisburg. Its atrium is often used for hosting community, education, and art events.